Riverdale takes its episode titles from classic movies. How many of these have you seen? 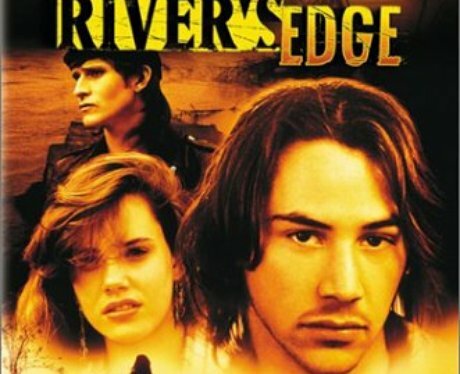 The River's Edge (1986) - A teenage girl is murdered by her boyfriend and left for dead on the bank of a River near their small California town. The Riverdale episode of the same name lays out the discovery of Jason Blossom's body on the shore of a river bank. A Touch of Evil (1958) - After a car bombing, a Mexican drug enforcement agent suspects American police officers of faking evidence to frame an innocent man. Digging into this suspected corruption could put him and his loved ones at risk. 6. S1 E06 - Chapter Six: Faster, Pussycats! Kill! Kill! Faster, Pussycats! Kill! Kill! (1965) - Three go go dancers embark on a desert adventure full of mayhem, violence, and murder. La Grande Illusion (1937) - Class differences between a group of French soldiers are explored when the men are captured as prisoners of war during WWI. On Riverdale, Archie sees how the other half lives after escorting Cheryl to her family's maple party. To Riverdale and Back Again (1990) - Archie, Betty, Veronica, and Jughead return to Riverdale for a high school reunion. Hijinks ensue. On Riverdale, Archie's mother returns to Riverdale, raising the possibility of a reconciliation between Fred and Mary Andrews. Anatomy of A Murder (1959) - A lawyer takes on the case of an Army Lieutenant who murders an innkeeper. On Riverdale, the gang further unravel the mysterious killing of Jason Blossom. In this episode, we learn who really took Jason's life. A Kiss Before Dying (1956) - A man pursues a young heiress with the hopes of currying favour with her wealthy father. When she becomes pregnant, he panics, fearing she will be cut off by her family. This leads him to kill her and set it up to look like a suicide. Nighthawks (1981) - A New York City cop goes after an international terrorist who has just carried out a deadly bombing in London. On Riverdale, Archie continues to obsess over his father's assailant. The Watcher In The Woods (1980) - Mrs. Aylwood is a distraught mother since her daughter, Karen, vanished in the Welsh countryside 30 years ago. When the Carstairs family move into the Aylwood manor for the summer, strange occurrences begin to unnerve the family and Jan begins to suspect that they are linked to Karen's disappearance. " - synopsis via IMDb On Riverdale, Kevin Keller goes cruising and Betty worries for his safety as the Black Hood remains at large. When A Stranger Calls (1979) - A deranged killer terrorizes a baby sitter with menacing calls. Later, she learns that the calls are coming from inside the house. On Riverdale, The Black Hood begins terrorizing her with phone calls. Death Proof (2007) - A professional stunt man purposefully causes car wrecks and targets unsuspecting women for his deadly rides. On Riverdale, Jughead and Archie street race against the serpents. House of The Devil (2009) - A college student sets out to make some extra money by agreeing to a mysterious babysitting job. When she arrives, the young woman realises things could be more sinister than she previously thought. Silent Night, Deadly Night (1984) - A traumatized young man whose parents were murdered when he was young goes on a deadly rampage dressed as Santa Clause. On Riverdale, it is revealed that Joseph Svenson was the man under the hood. It is also revealed that he is Joseph Conway, a man whose parents were murdered in front of him when he was a child. Blackboard Jungle (1955) - A war veteran takes a job at a school where hooliganism and criminality run rampant. On Riverdale, Southside high is shut down and the "hooligans" from Southside take up residence at Riverdale high. The Wrestler (2008) - An aging wrestler plots a return to wrestling and also hopes to reconcile with his estranged daughter. After being told wrestling is a health risk for him, he defies this advice, pushing himself to breaking point. On Riverdale, Archie tries out for the wrestling team and aging former wrestler, Hiram, challenges him on the mat. The Hills Have Eyes (1977) - A family is targeted by a pack of savages after becoming stranded in the Nevada desert.